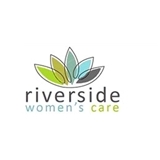 Riverside Women's Care (Beaufort) - Book Appointment Online! Took time to make sure if I had any concerns or questions they could be addressed. Dr and staff were great! Halle is a sweetheart. Very warm and attentive as well as professional. So happy I found her. CeCe, NA was awesome. Dr. Mitchell is the best! Very little wait time and she addressed all my questions and gave me answers. Dr. Downey was very professional yet compassionate at the same time. She took time to discuss treatment options and genuinely appeared to care about treating her patients. This was my first visit, but it will not be my last. She took her time & I didn't feel rushed. Very attentive & friendly. Love her & all her staff. I would definitely recommend her to others. Dr. Spires is a very knowledgable provider. He has a wonderful bedside manner. He takes his time you don't feel rushed out of the office.